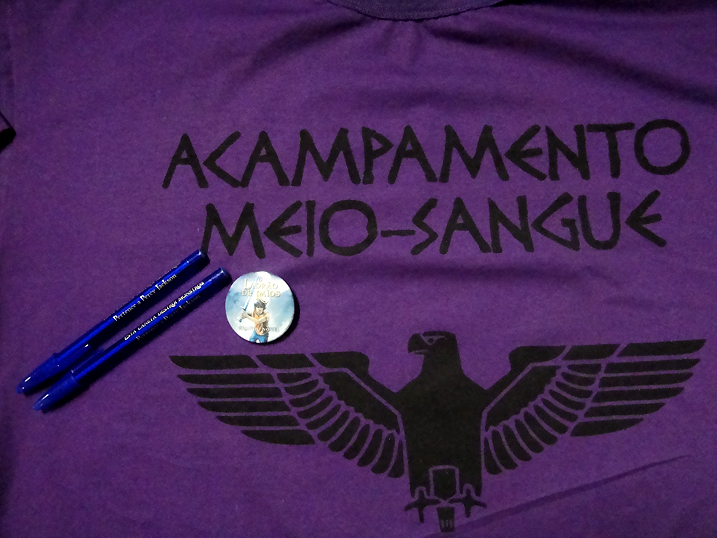 As I've mentioned before, Percy Jackson is huge in Brazil, and I love my Brazilian fans! After the U.S., Brazil is one of the countries from which I get the most website visits. 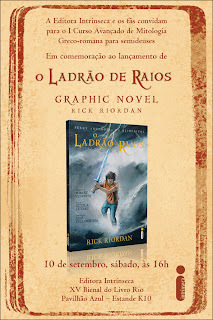 My Brazilian publisher Intrinseca just sent the pictures above. 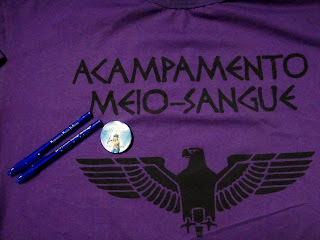 The purple demigod T-shirts with the Roman design were given as prizes on Percy Jackson's Birthday, Aug. 18. I'm told that Percy was trending all day on Twitter in Brazil during the celebration. Doesn't that shirt look cool? 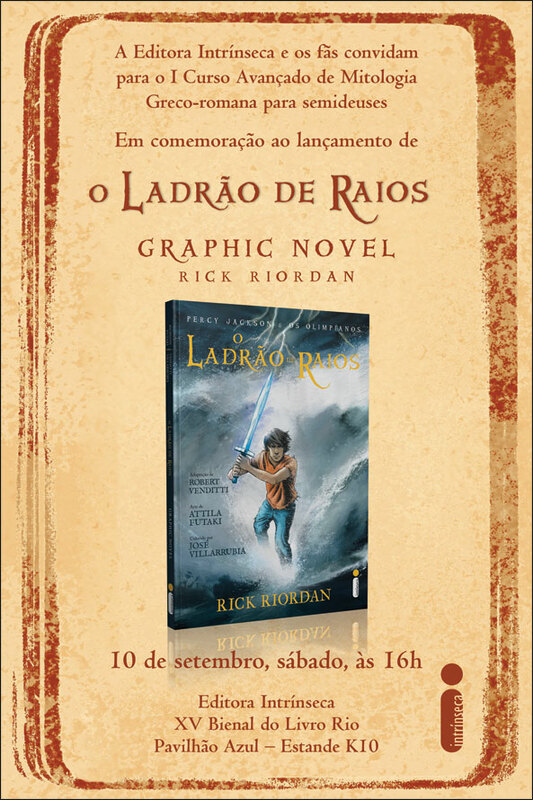 Below that is an invitation to celebrate the release of the Lightning Thief graphic novel in Portuguese at the Rio Book Festival on September 10. Sadly, I won't be there. I can't travel internationally for signings because of my intense writing schedule, but I'll be with you in spirit. If you can make the festival, I know it will be quite a party! Stop by the Intrinseca booth and tell them Tio Rick sent you.